The Tattoos in our Studio Tempel München, are all done by high class/skilled artists, which can be recognized in the over 100v awards/prices our artists collected at Tattoo Conventions all over the world in the last years. 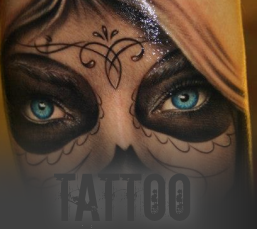 We are working with 8 resident Tattoo artists and add high class guest tattooartists from all over the world to our team on a regular basis– all of them also awarded with numerouse prizes from worldwideTattoo conventions. This is the resaon we can can provid you with exactlty the righr artist for (nearly) every tattoo style- no matter if you are fancying Realistic-Tattoos, Oldschool, Newschool, Biomecanic, Mandalas, Florales.. we will either find the right Tattoo-Artist for you or if necessary recomed another Tattoo Studio in Munich were you can find a suitable artist. We did hundreds of cover ups in the past years and are even equiped with a Tattoo Laser for the difficult/hard cases – so we can provide a solution for nearly every customer- It is not without reason, that we became one of the biggest and most known Tattoo Studios in Munich within the last 10 Years. Wherever Possible we only use sigle use devices, this includes Needles, Disposable Tubes/ Needle Cartridges, ink trays and covers. All other materials like, Tattoomachines, Cords, Power suplies, etc. are covered with fresh cling wrap for every customer and of course we clean and desinfect the working places completely after every customer. This is guaranteeing you not only a beautyful but also safe Tattoo. If you are a woman and you’d rather get tattooed by another female – we of course do have female Tattoo artists. Nevertheless tattoos are created using needles to get the ink under your skin, so we unfortunately can’t prevent you from feeling a little – bur bearable- pain. Anyway we will make your visit in our Tattoo Studio Munich as comfortale as possible. Promised. You can find, how to get your Tattoo in our Tattoo Studio Tempel München in our FAQs.